Imagine the Kahn academy for the whole education system. At any given time, you’d be able to send ‘at risk’ students to the right tutor who could put them back on track. We’d know oodles about what kinds of things helped people ‘learn’. If that’s what we wanted 🙂 Would it be worth it? Maybe we could refocus school time on projects… and art… and music. Or maybe we all stay home and press buttons on our computers. MIT and accreditation… that was fast. Great list. 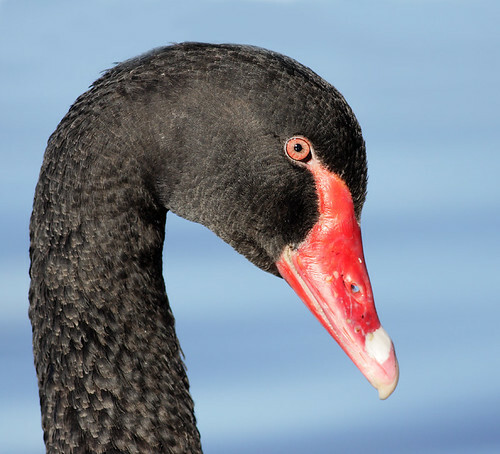 Black swans breed in aust. & it is wonderous 2 c them. In aust our top high school achievers are heading to Oxford Cambridge and Harvard for 1st degrees rather than studying at home. I wish for open learning at uni so we can stop the brain drain. Thanks Liz. the brain drain certainly seems to be flowing in lots of directions. Hi Peter. You posted a similar comment on Twitter, but failed to leave us links to ‘educational irrelevance’, the connections between the Hempel’s paradox and Talib, and why you despair for education. Hi Dave, This is an interesting list. – what would it mean to “educate” someone? – how would we accredit knowledge/mastery of a domain? It will force us to question many more such fundamental questions. Currently, so much of the accreditation process relies on testing on your ability to recall. We should actively move towards the process that tests your ability to synthesize, hypothesize, verify assertions. Essentially make thinks. I advocate project based learning and evaluation. My white swan prediction is that things continue to spiral downward into a morass of continuous superficial testing and lots and lots of profit and misery for children. Rich people remove their children from public education and the rest are programmed as sycophantic drones. Clearly the break has made me more optimistic and cheerful. Even though I do not think your Black Swan #4, Oil his $400/barrel, will actually happen this year, I do like that you included it in a list for education, as it is the kind of “external” factor that seriously disrupts the norm that no one sees coming. After MITx, Harvard and Berkeley are following MITx. That means MITx was a right move . Let Stanford, Yale,Princeton, Cornell join the club. We have seen the success of first MITx course. 7157 certificate HOLDERS around the world .